Fresh, fruity grape flavor with just enough sweetness. Elegant, deep violet color with a jelly-like texutre. 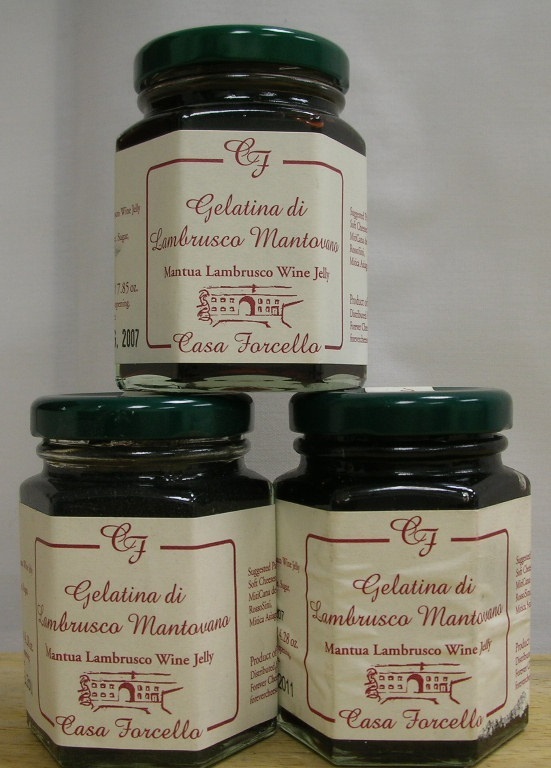 This fresh tasting jelly incorporates Lambrusco wine, a regional specialty from Emilia-Romagna, Italy. Pairs well with younger cheeses like Cana de Cabra, Goat logs or burrata. Can also be used to top off cream-based desserts like panna cotta.